The discovery of the new species of dicraeosauridae, christened Bajadasaurus pronuspinax, was revealed in scientific journal Nature. 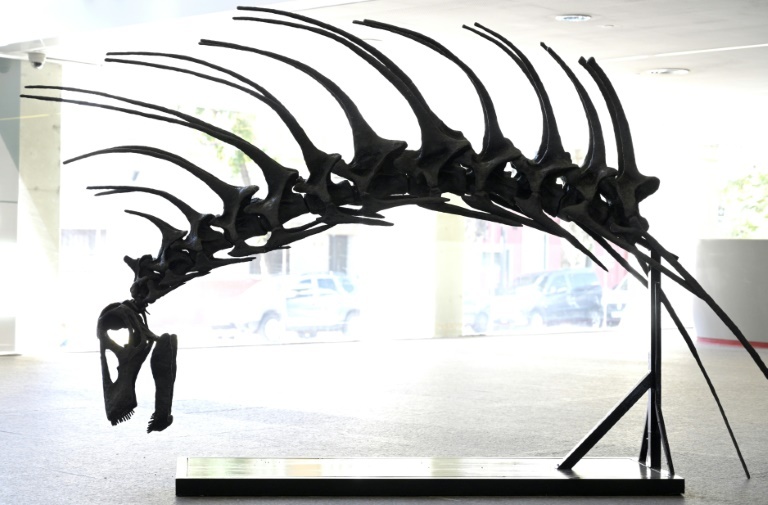 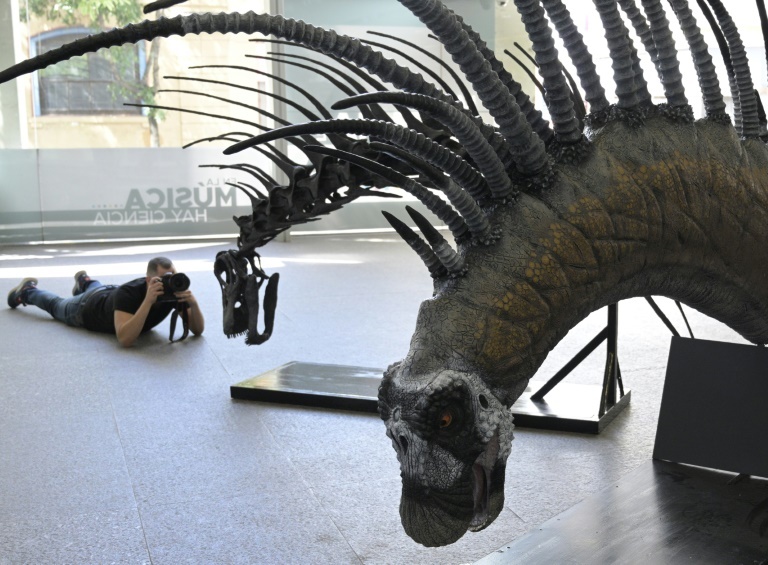 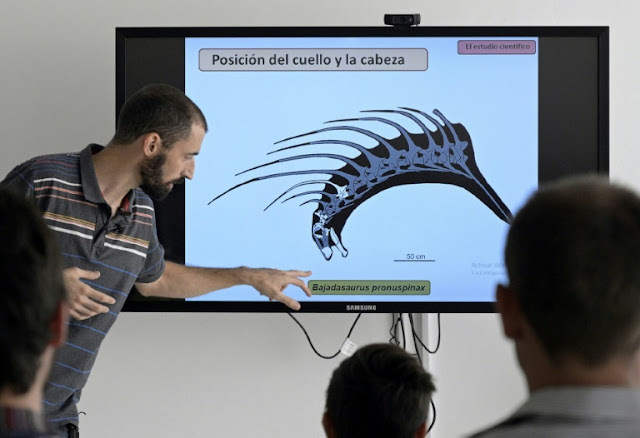 A reproduction of its spiny neck was exhibited in the Cultural Science Center in Buenos Aires. It's the same zone in which Giganotosaurus carolinii, considered the biggest carnivorous dinosaur of all time, was discovered in 1993. 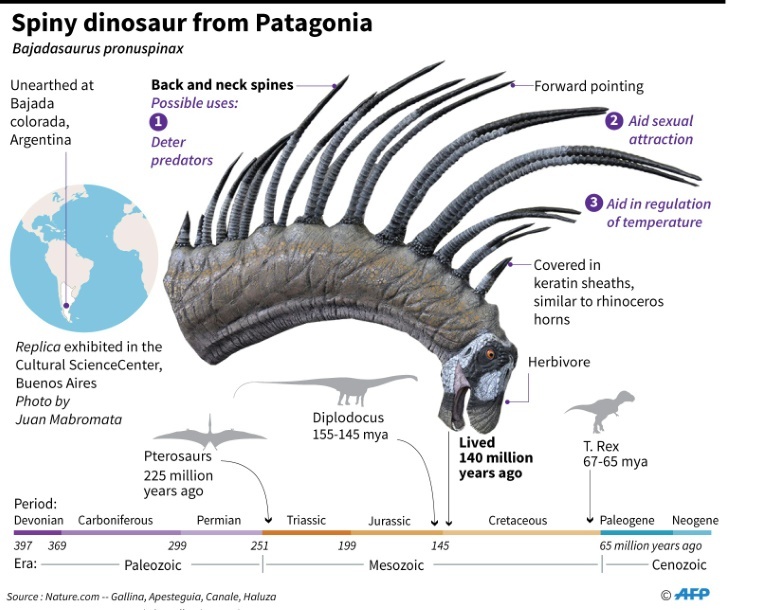 It lived during the late Cretaceous period and could have fed on Bajadasaurus.